Powered by Intel® Atom™ Dual Core D2550 Processor, NIFE 2310 is designed for industrial fieldbus enabled systems that can be utilized in most factory automation applications. The fanless NIFE 2310 is also designed to be operated in harsh environments and able to withstand extended operating temperature. Targeted for use as a gateway and SCADA control system, NIFE 2310 is designed with 4x LAN ports and supports WoL, LAN teaming and PXE functions. 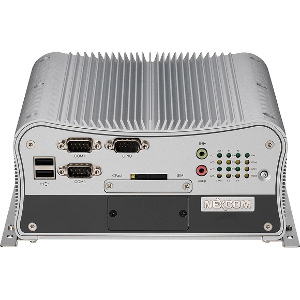 In addition, NIFE 2310 also provides 4x COM, 6x USB 2.0, dual independent display and super graphic performance for a variety of needs and one PCI expansion available. The NIFE 2310 is designed with universal concept to support any one of major fieldbus protocols without extra effort. With this high integration ability, the NIFE 2310 offers ease of use, replacement or installation with PROFIBUS, ProfiNET, DeviceNET, EtherCAT or Ethernet IP protocol, mainly for communication protocol in factory automation.